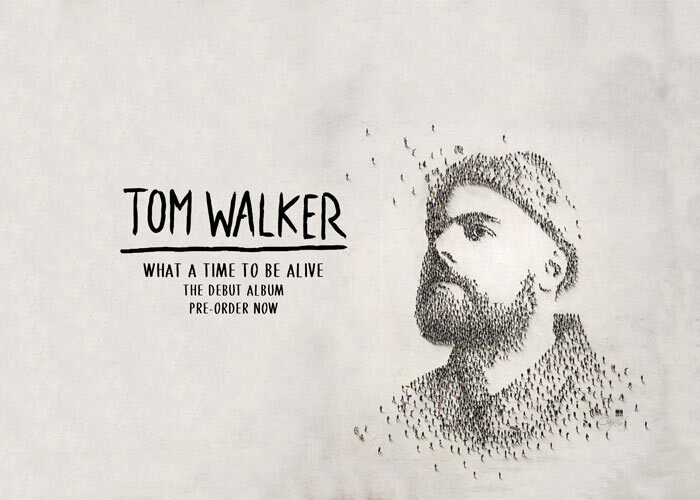 Are you a Tom Walker fan? You have the opportunity to watch him live in London at the Roundhouse on 1 May 2019 for his What A Time To Be Alive Tour! This incredible once in a lifetime competition includes a chance to meet him at his concert, return flights to London, accomodation, spending money and more and is valued at R97 000!!! How to enter: Reply to the Tom Walker competition post on the Expresso Facebook or Twitter pages with your ultimate Tom Walker playlist featuring 3 of his songs. Make sure you include #TomWalkerTakeMeToLondon. 1.1. The Expresso Tom Walker Experience Competition (Competition) will be run by Cardova Trading (Pty) Ltd and the prize herein will be provided by Sony Music Entertainment Africa Proprietary Limited (SMEA). 1.2. Each person entering the Competition (entrants/you/your) and/or accepting the Prize in terms of this Competition agrees and accepts that the Competition rules as set out in these terms and conditions are binding on him/her. Entries for the Competition will open at 6h00 on Thursday, 11 April 2019 and will close at 23h59 on Monday, 15 April 2019 (Competition Period). 3.1.5. you must be a natural person. 4.1. To enter you must reply to the Tom Walker competition post on the Expresso Facebook or Twitter pages with your ultimate Tom Walker playlist featuring 3 of his songs. You need to include the competition hashtag #TomWalkerTakeMeToLondon on your post. 4.2. You may only enter once for this Competition. 4.3. Once you meet the requirements set out in clause 3 above and this clause 4, you will automatically be entered into the Competition. 5.1. We will randomly draw 1 (one) person (Winner) from all valid entries received as the winner of the Competition within 12 (twelve) hours from the closing time of the Competition. 5.2. We will notify the Winner by commenting on the Winner’s entry post within 3 (three) hours from determination of the Winner to request further contact details. If the Winner does not reply to our message and provide the requested contact details within 3 (three) hours from our message being sent, the Winner will forfeit the prize and have no claim against us and we shall be entitled to select a different winner at our discretion. 5.3. The Winner must provide a copy of his/her passport (information page) within 12 (twelve) hours of being requested to do so, failing which the Winner will forfeit the Prize and shall have no claim against us. 5.4. The Winner will further be required to provide a copy of his/her identification document as required in terms of the Consumer Protection Act, 68 of 2008. If the Winner fails to provide a copy of his/her Identification Document within 48 (forty-eight) hours from being requested to do so, the Winner may forfeit the Prize and shall have no claim against us. 5.5. The Winner may also be announced live on the Expresso show and on digital media once the Winner is confirmed. 6.1.6. Visa fees (including expediting fee) to the total approximate value of R7 000.00. 6.2. The Winner must be able to travel to London, UK between 29 April and 2 May 2019. 6.3.2. if you are the Winner, you will have no claim against us should you for any reason not be able to utilise the Prize due to not being able to get a visa in time to attend the Concert. 6.4. The Winner will be contacted by means of the contact details provided to us. If we are unable to contact a Winner within 3 (three) hours of receiving contact details (as per 5.2 above), the Winner will forfeit the Prize and we reserve the right to select a new Winner. 6.5. The Winner may share the Prize with a person of his/her choice. 6.6. It is the Winner’s responsibility to ensure that any information provided to us is accurate, complete and up to date. 6.7. The flights to be provided as part of the Prize are subject to availability and will be booked at our sole discretion. In the unlikely event that no flights are available to travel to London on the relevant dates (29 or 30 April 2019), the Winner shall have no claim against us. 6.8. Winner and his/her travel partner need to fly together at all times. 6.9. The Prize is limited to the items specifically listed at clauses 6.1.1 to 6.1.6. 6.10. If the Winner is for any reason not able to redeem the Prize, the Prize will be forfeited and the Winner shall have no claim against us. 6.11. The Prize, or any part thereof, may not be exchanged for cash any other item. The Prize is strictly non-transferable and non-negotiable. 6.12. We reserve the right to substitute the Prize, or part thereof, with any other prize of a similar commercial value. 7.2. We reserve the right to amend these terms and conditions should it be deemed necessary in our sole and unfettered discretion. 7.3. SMEA reserves the right to cancel this Competition at any time during the Competition Period for any reason at their sole discretion. 7.7. We will need to process your personal information to validate your entry as well as to contact you for marketing purposes and, if you are a Winner, to make the Prize available to you. By entering this Competition, you specifically and expressly consent to us processing your personal information for these purposes and for us to contact you for marketing purposes. You may unsubscribe from the SMEA or organisers’ database at any time. 7.10. We assume no liability whatsoever for any direct or indirect loss, harm or damage arising from your participation and/or any use of the Prize. All persons, entering this Competition, indemnify and hold us harmless for any loss, damage, harm, death or injury (whether arising from negligence or otherwise) which may be sustained as a result of his/her participation in this Competition and/or his/her use of the Prize, or the use of the Prize by a third party. 7.12. The Competition is in no way sponsored, endorsed or administered by Facebook, Twitter or Instagram and any correspondence related to the Competition should be directed at us and not Facebook, Twitter or Instagram.